The Twin Cities Orthopedics Center and the Vikings Museum sit adjacent to each other in the home of Minnesota Vikings football team. 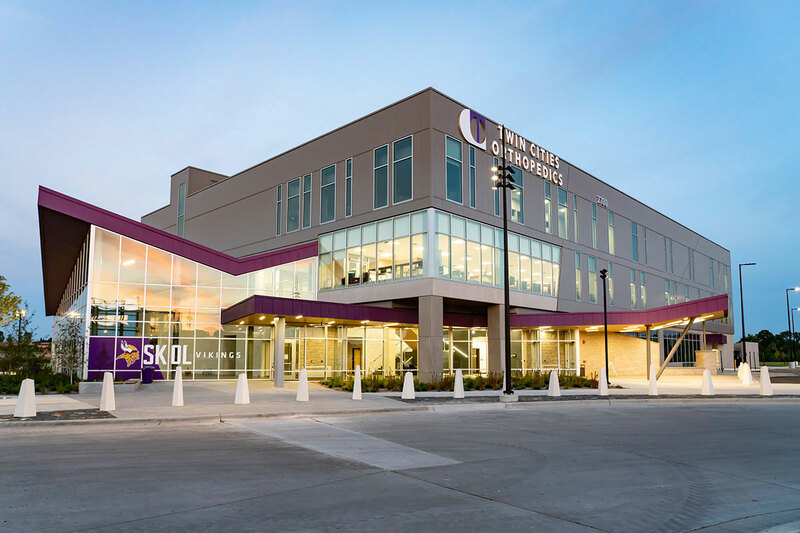 The Orthopedic center and the Minnesota Vikings joint-venture is a two-story project featuring a hall of fame on the ground level and a sports medicine clinic on the second story. 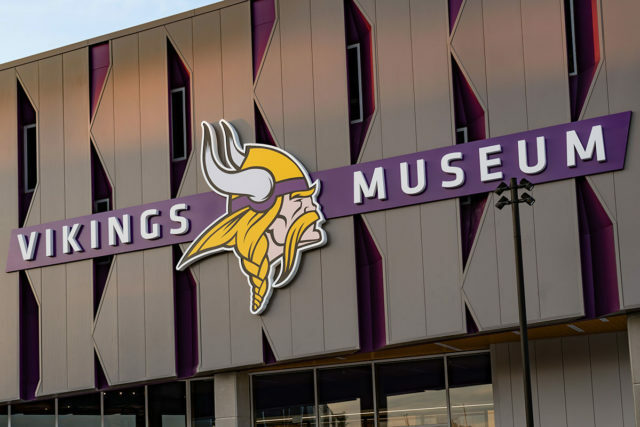 The 60,000 square-foot state-of-the-art facility was constructed by MG McGrath, Kraus Anderson, and Crawford Architects. 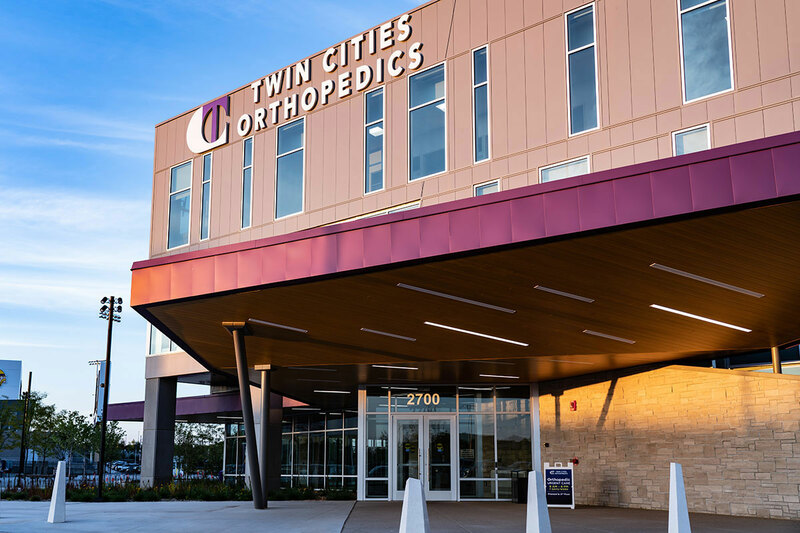 The Ortho Center features an abundance of exterior cladding materials including insulated metal panels, aluminum soffit, single skin, stainless steel and Pure + Freeform’s 1mm aluminum. 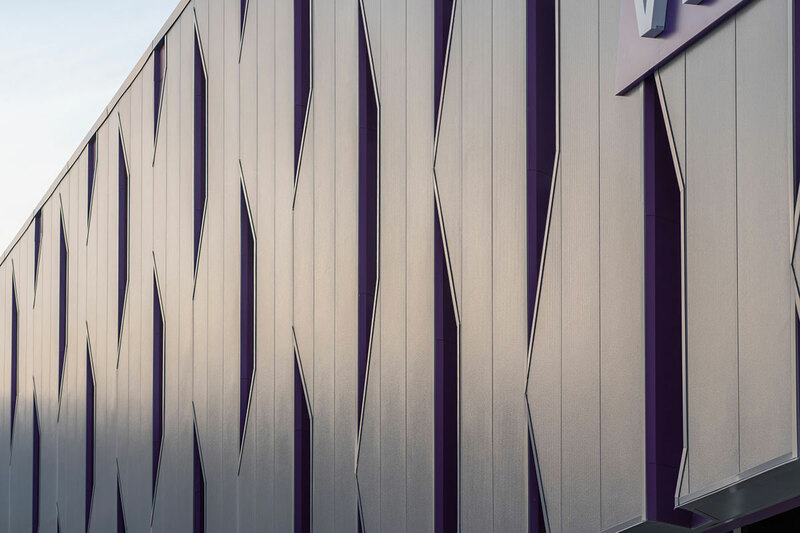 The team at MG McGrath provided the Pure + Freeform custom panels and flashings fabricated from .063 aluminum on the museum’s exterior. The panels were enriched with Lumiflon FEVE resin technology, which gives the finish its high gloss range and bright appearance. Additionally, the clarity of the finish is attributed to the clear nature of the Lumiflon’s FEVE resin. Coatings with Lumiflon FEVE resin technology offer benefits that many other coatings do not. The fluoropolymer provides unmatched weatherability, which helps prevent against coating degradation. Used as a mandated bridge coating system in Japan, its hyper durability is unparalleled provided both chemical and abrasion resistance. 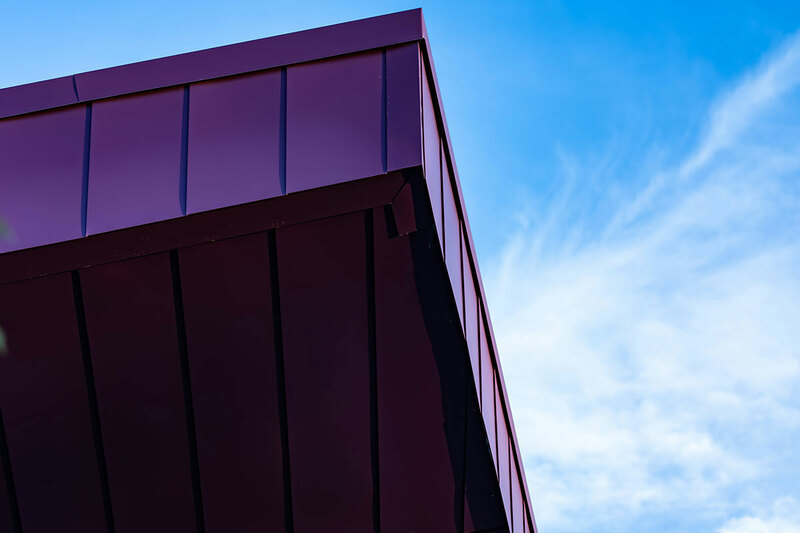 FEVE-based coatings also help reduce lifecycle costs, as their hyper-durability allows a coating to resist degradation in the face of UV radiation, salt, and water for decades.